"Idyllic" is an apt description for the treehouse we built on Orcas Island during summer of 2016. Orcas Island, the largest of the San Juan Islands in Washington State, is breathtaking in its beauty. Prehistorically sized forests blanket the island, tumbling to rocky beaches and the cold, glimmering ocean. 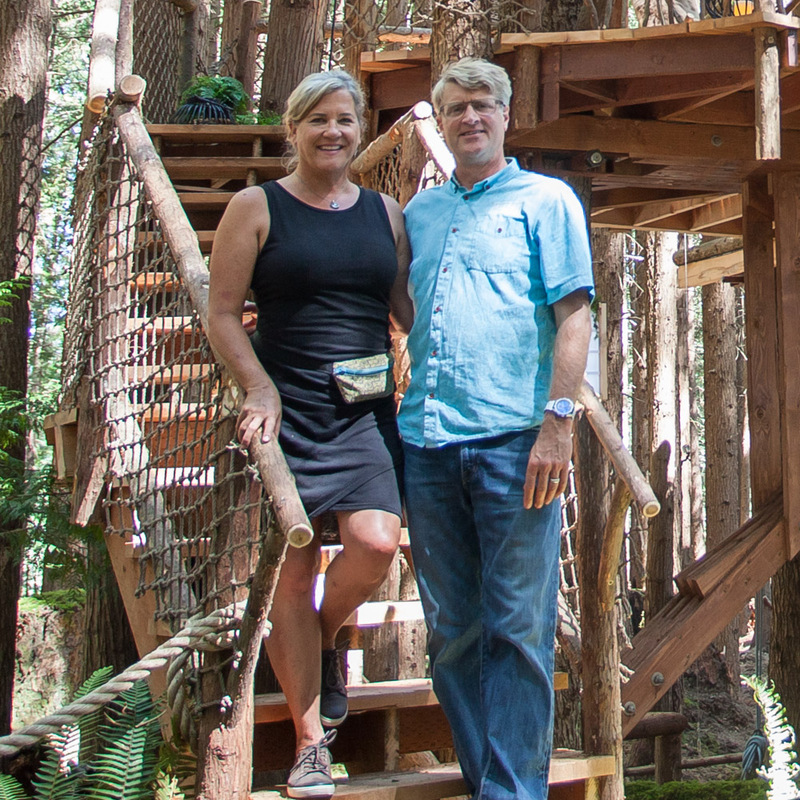 Our crew relished spending a few summer weeks there to bring this treehouse to life. See how it all came together in our time-lapse video below! Nestled between towering Doug firs, this backyard retreat rises 14 feet off the ground. It's full of custom built-ins including a 20-foot-long, curved redwood bar top slab on the deck, and a Murphy bed that allows the room to do double duty: cozy bedroom by night, airy additional space by day. The crew salvaged lumber from an old structure on the property for window casings and baseboards. The completed treehouse looks at home amid the stunning landscape of Orcas Island and is the perfect place to fill with generations of laughter and love. To see more treehouse videos, check out our YouTube channel. You can take a closer look at our Orcas Island treehouse in our photo tour.